The quotations below were taken from the E-mails I received as notification that these awards were being given to me. 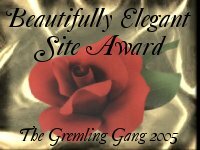 Please click on the graphics below to visit their beautiful sites that the awards came from. If you click on an award and it does not take you to the award site, the link has been disabled. This is usually because the award site is no longer available or website URL has changed. I have reviewed your site and feel that it does qualify for the family friendly website award. Hi Shaikh, I enjoyed my visit to your site very much.. Very well done.. Nice layout and wonderful and loving content.. Which is the aim of all religions to bring peace... I am very happy to present you with the Silver Award... For Webmasters Excellence in Design and content. And Congratulations on a site very well done.